TortoiseForum.org - Take a look at these wonderful photos of several amazing Galapagos tortoises. TortoiseForum.org - See photos of some of the recent activities of this excellent looking group of leopard tortoises. 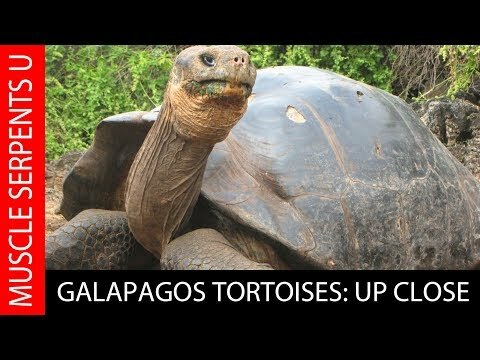 TortoiseForum.org - Here are photos and videos of three adorable baby Galapagos tortoises. YouTube - Dave Palumbo showcases the captive bred Galapagos tortoises produced by Jerry from Exotic Reptiles. Check out the world’s largest tortoise up close as hatchlings. 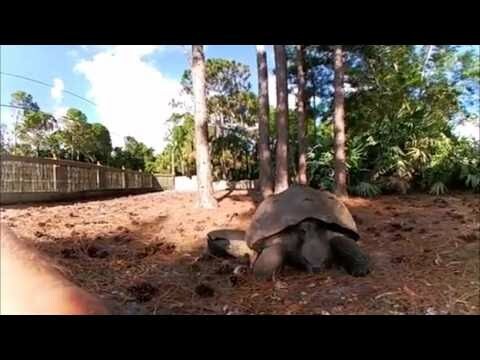 YouTube - Kenan Harkin feeds his Galapagos and Aldabra tortoises in this nice 360 video. TortoiseForum.org - A handsome young Galapagos tortoise at Tortoise Cove happily spends the day grazing on the nice green grass.